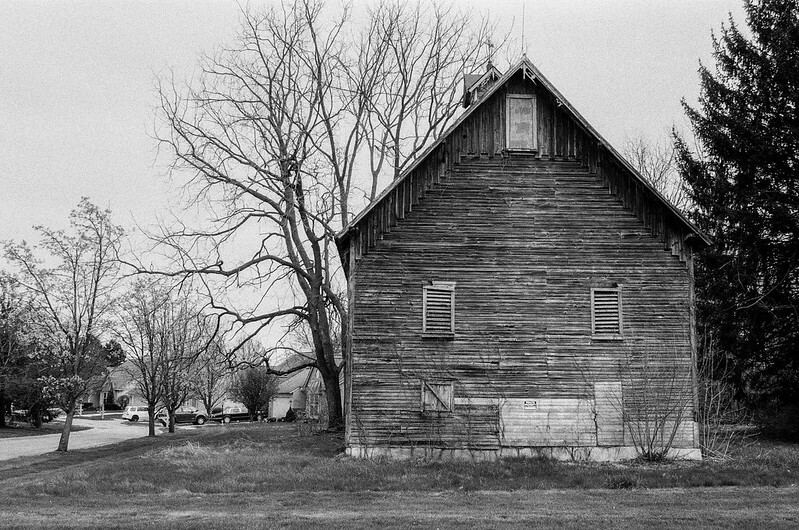 It stands among vinyl-village suburban subdivisions, this old barn. 25 years ago it was all farm fields out here. But cities inevitably grow outward and swallow up whatever they find along the way. This is Indianapolis, a city that merged with its county going on a half century ago. Within the old city limits, you’d recognize Indy as a city. Beyond, it is suburban and even rural. You’ll find many barns around the “city.” (I ought to do a photo series on them.) But this might be the only one that anchors a subdivision. Awesome shots Jim! 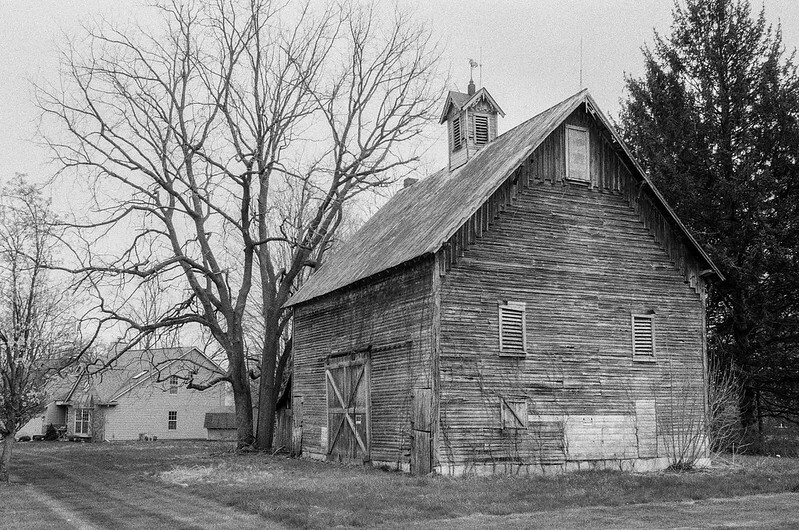 I love subjects like this old barn, they really lend themselves well to b&w photographs! 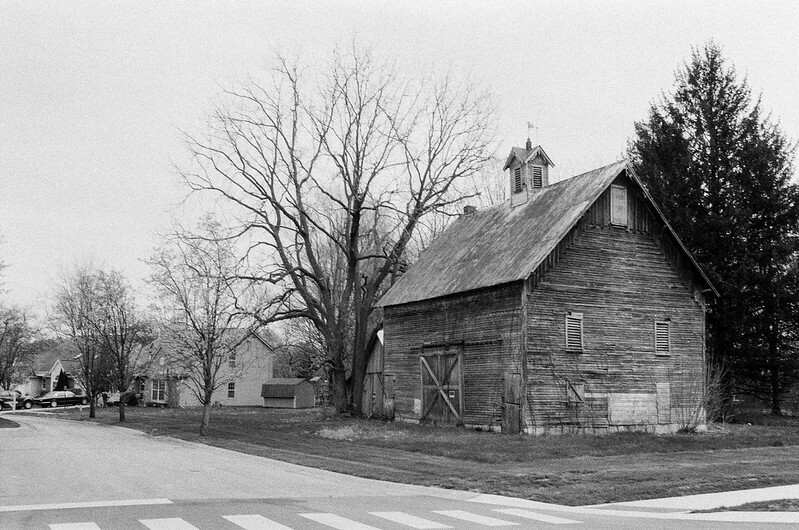 This barn is gray/tan in color, so b/w seemed to make sense here. It’s a project that’s been in the back of my mind for a couple years. Not sure this is the year for it — full dance card through autumn. Maybe next year. Barns are cool, and there are still quite a few left. A project that I am slowly working on is shooting old, wooden, one-room church buildings. They are thinning out, even in the Bible belt. What a great project, and important. Glad you’re doing it. You got everything just right with that middle shot. I like the sombre tones, the fine-grained textures and the grey sky. Keeping the picture plane perfectly vertical effectively conveys the solidity of the construction and emphasizes the strong perspective which ties together the main compositional elements. The overall effect resembles a finely executed charcoal drawing, yet we know the entirety of the scene was captured in a fraction of a second — which is what makes photography such a marvelous medium. 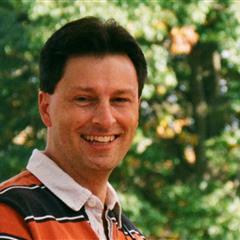 Thanks Mike, so much, for saying so. I think the busy details in this subject lent themselves well to this film and lens. One thing I’ve worked on over the past few years is holding the camera at the angle I want. Maybe it’s easy for others, but it’s been a challenge for me. I’ve had to learn to scan the entire frame and judge whether I’ve found the plane I’m looking for. It’s starting to really pay off. Nice, we have an old barn close by our place, which was built in the mid 60s. That’s one of the nice things about the UK, the lack of urban sprawl. The town stops here, and that’s where the country begins.. When I first started coming to Indianapolis in the 80s, Hamilton County (the county just north of Marion County / Indianapolis) was all cornfields. Then the office buildings came. Then the stores. Then the subdivisions. And then the main road through Hamilton County became stoplight city. The state is busy now rebuilding the whole thing to have grade separated intersections with roundabouts. I had a job in Hamilton County ten years ago. Used to drive up a back road to get there. I saw deer all the time on my morning drive. Almost hit a couple with my car. There are strip malls, churches, and lots of houses all along that way now. It is interesting that it still has a cupola. Most barns had one at one time, however they are fairly fragile and tend to be the first thing to go. Looks like this one had been maintained until the last twenty or thirty years. I don’t imagine that it will happen, however it would be nice if it could be preserved. Right now it looks like it would just take some paint and some work on the roof to keep it going for another twenty years or so. Some work has been done to stabilize it a little; note the lighter (new) wood on the one wall. I’m with you, I hope more work is done to preserve it. Oh yeah, Oaklandon! I’ve been over that way a couple times. Definitely feels like a step back in time.